Born in Barcelona, Spain, on March 10, 1920, Pio Alessandro Carlo Fulvio Filippani Ronconi was a son Conte Fulvio Filippani-Ronconi and Anita Tamagno. They were belonging from a very ancient aristocratic family, tracing back to the Roman patriciate. He grew up in Spain up to the Civil War, when his mother was shot by Republicans. He and his family later return to Italy. In his ancestors’ country, he joined as a volunteer in Italian elite troops, the Arditi. He fought in Libya as a member of Special German-Italian-Arab secret service task force in North Africa that specialized in getting information behind enemy lines. He was wounded twice and was decorated with a Croce di Guerra for his valor. After the fall of Benito Mussolini and the constitution of Italian Social Republic, Ronconi enlisted as a volunteer private in the Italian SS-Legion. He fought against Allied troops on the Anzio and Nettuno front with 1st Company of II./Waffen-Grenadier Battalion 81 ‘Degli Oddi’. During a fighting, he was badly wounded in the head. Afterwards, decorated with EKII on 19 April 1944 and Verwundetenabzeichen on 14 April 1944, Ronconi was assigned to the staff of the Inspectorate of the Italian Waffen-SS. He was served as a translator between Generalmajor Manelli, SS-Oberführer Tschimpke, and SS-Gruppenführer Debes (Waffen-SS C-in-C for Italy). 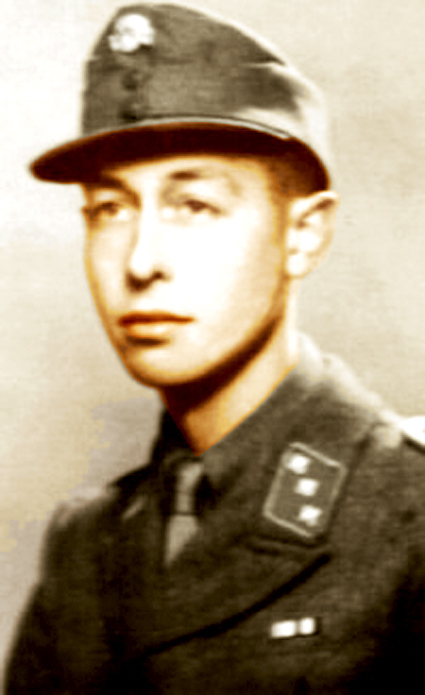 He was promoted to SS-Oberstürmfuhrer on 21 June 1944. After the war, Ronconi - who already know Italian, Spanish, Catalan, Arabic, Greek, and Latin - studied several oriental languages such as Turkish, Hebrew, Chinese, Tibetan, Sanskrit, Persian, and others at the university. He taught both at the Istituto Orientale in Naples and at the Faculty of Orientalistics in Venice. At the same time, he also works at the foreign radio office for the Council Presidency and with the Italian intelligence services and ministry of defense as cryptographer and translator of oriental languages. However, his Fascist-Nazi past got him in some troubles. In 2000, he entered a collaboration with the national newspaper Il Corriere della Sera, writing articles about Eastern philosophy. But, he was dismissed after a reader denounced with a letter to the newspaper about Ronconi past as a Waffen-SS member during the war. Ronconi died on 11 February 2010 in Rome and buried with a Russian Orthodox rite.